October 2012 – Nick Falkner, author and artist. El Topo was screened last week as part of Cinemathèque at the Mercury Cinema. This 1970 Mexican film, directed by the Chilean-French Alejandro Jodorowsky, was described in my brochure as “the ultimate Acid Western, the first midnight movie, a phenomenon of allusion and allegory, and one of the most important films of the Sixties counterculture.” Well. Considering that description, there was more plot, more violence and more torture than I expected, but a full fill of grand Western vistas and heavy symbolism. Consider the first two scenes. In the first, a gunslinger takes his small son into the desert to bury his toys and declare himself a man. It’s visually striking, reaches for resonance and yet remains slightly absurd. In the second scene, the two ride through the aftermath of a massacre. Women and children lie dead but still bleeding, the men swing from nooses in the town church, and their animals have their guts spilled out. The sun beats down. It’s meant to be savage and it’s meant to motivate the gunslinger to moral action, but the lingering shots felt like torture voyeurism. Even hardened film-goers, such as my companion to the film, a fan of zombie films and Reservoir Dogs, found it hard to stomach. What has been seen cannot be unseen, after all. The film follows the gunslinger (played by Jodorowsky) through various trials that may or may not lead towards sainthood. He must defeat the men who massacred the townsfolk. He must ride through the desert and face down four other master gunfighters. Then he is metaphorically reborn to help inbred villagers escape their underground prison. He is El Topo, “the mole”. The landscapes are beautiful. The shot compositions are memorable (for good and ill). The dialogue is mystical and often beside the point. The disfigured and dwarf cast members are more human and less monstrous than the world they want to escape into. There is wanton eating of fruit. But the violence and torture left me thinking that this was a film I was glad to have seen, not a film I was glad to watch. 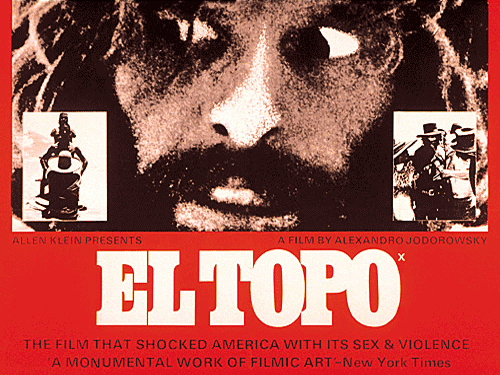 I was surprised to realise that El Topo is not actually that much of a departure from some other Westerns. The human blight amid starkly gorgeous scenery was not new. This world abandoned by God, without law, where only the gun matters – is this not a staple of the spaghetti western? Think of Tuco and Blondie in The Good, the Bad and the Ugly, who abandon each other in the desert, to crawl half-dead across lovingly-shot empty dunes. What hell is this? Push it just a little further and a bit sideways and you might get El Topo. 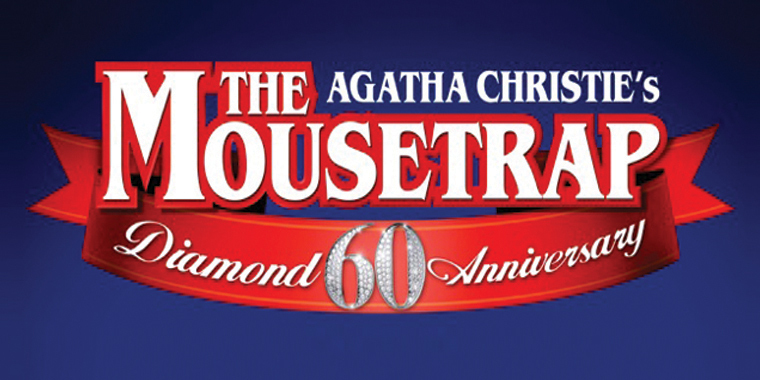 This is an entertaining production of the old favourite by Agatha Christie. There’s a snowed-in guest house full of eccentrics and an inevitable murder. The first half plays up the comedy, the second half concentrates more on the drama. A few details of the script beggar belief, but otherwise this is a solid version of a minor Christie mystery. One friend who accompanied me also saw the London production last year: she thought that the Adelaide show was the funnier and more memorable of the two. 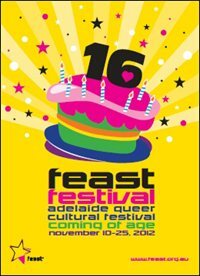 Note that this is being performed at the Dunstan Playhouse, one of my favourite Adelaide theatres. You should get a good view from pretty much any seat. Fearless Nadia is a musical performance and film about an unusual star of Indian cinema. Mary Evans, a white woman born in Western Australia, became a popular Hindi-language actor known for her alarming stunts, progressive views and vigorous fight scenes. This OzAsia show presented a brief biographical film, followed by numerous highlights from her film Diamond Queen (1940), in which she plays a young, educated Indian woman who must team with a local bandit to defeat a cruel and rapacious overlord. There’s slapstick, romance and some excellent action set-pieces with a large cast and a moustache-twirling villain. There’s even a heroic horse. The film snippets were accompanied by a small orchestra playing Western and Indian instruments. The musicians playing Western instruments wore their traditional garb of waistcoats and jazz hats. The Indian musicians performed sitting down, on raised platforms. All gave virtuoso performances, but it was the tabla players who garnered the most enthusiastic applause. The combination of Diamond Queen and the Orkestra of the Underground was hard to resist. We in the audience cheered when Fearless Nadia punched out her first villains – her cinematic entrance is as an on-screen fist. We quailed when Mary Evans, who did all her own stunts, fell backwards into a waterfall. It was, perhaps, a little over-the-top when an electric violinist hung upside-down over the screen, suspended some metres above the stage while a scene reached a climax, but generally speaking, the music enhanced the film rather than distracted from it. After a long, luxurious, post-film outro, reminiscent of the Bonzo Dog Doo-Dah Band, we gave the orchestra a standing ovation. The show has closed in Adelaide but will be touring in India. Milika is an artist and keen amateur astronomer. His photography and mixed media work express a fascination with landscapes uniting land and sky. Some of the photographs are straight-up astronomical photos, while most of the rest depict reflections of sky in water. Milika, who did not grow up with Dreaming stories, is wary of referencing Aboriginal lore directly in his work, but his most striking photograph is of the emu in the Milky Way, a figure of negative spaces within star fields. The mixed media work, of steel animal sculptures marching over painted landscapes, was less immediately interesting, apart from Ants, which brought to mind a union of Mars and Earth via the ant-creatures of Quatermass and the Pit. Until 11 November. Images available at the Tandanya website. Pike brought a fluorescent palette to Western Desert art. This retrospective of the late artist includes screen prints, clothing, and long sheets of fabric hung from the high ceiling of the main gallery. Much of the patterning is familiar if you’ve seen other Western Desert art, but the colours bring to mind the best and worst of the Eighties fluoro fascination. There are also quieter black and white works. Some pieces are presented with descriptions of the stories they depict while others have titles which remain untranslated. A few key works need no translation, such as a sinuous print of desert dunes and vegetation. Until 25 November. Images available at the Tandanya website. Modern roller derby is a sport that’s part athletics, part violence and part theatre. 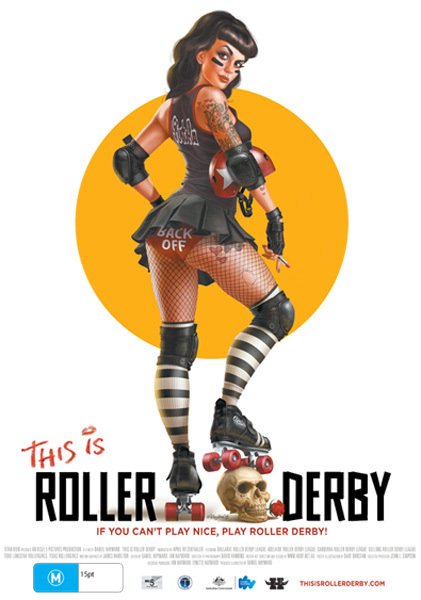 The all-women teams of Adelaide Roller Derby start each match with a performance to intimidate their enemies and rouse their fans, rising from a grave as the Wild Hearses team, or swimming with sharks as the Salty Dolls. Their costumes draw from a scrapbag of movie and other cultural references, including skeletal face paint, frilled bloomers, fishnets and leopard prints. Skaters have their derby names emblazoned on their backs, often a pun like “Ginger Nut Risk It” or “Sin & Tonic”. Then the match starts, and high-velocity skaters tear around an oval track, taking the hands of team-mates to swing them on faster, and using their hips to smash the opposition from the track. It’s exhilarating to watch. Australian director Daniel Hayward spent four years and a shoestring budget filming a documentary on roller derby. It’s enthusiastic but uneven. He speaks with the women who restarted the sport in 2001 after a confidence trickster claimed to be setting up a league in Austin. From there it’s spread across the globe. Austinite Barrelhouse Bessie brought it with her when she moved to Adelaide and teams are now spread across Australia. Hayward mixes interviews within a loose thematic structure, but provides a narrative hook by documenting the difficult start of a new team in Ballarat. With no external funding and all the usual problems of volunteer-run organisations, the team struggles first to exist and only second to win matches. Adelaide derby fans will welcome the extensive interview with Barrelhouse Bessie, the scenes of the Adeladies playing against Victoria in Skate of Origin matches, and interior shots of the Wheatsheaf Hotel. As an introduction to the sport, it’s passable, even though the rules aren’t explained until halfway through the movie. As an introduction to a cultural phenomenon, it glides away from the hard questions, such as the uneasy boundary zone between the fetishisation of the players and its punk attitude to self-expression. When watching Iron Sky, continue past the first 20 minutes! The film is set in 2018 and President Palin (??) has sent people back to the Moon to give her an increased chance of re-election. This is the most sensible that the film every is and it goes every which way from that. Many, many other films are referenced throughout this movie. I must be honest that while I was expecting Dr Strangelove and Star Wars shout-outs, the Downfall parody caught me slightly off guard. I have to go and watch the movie again because a lot of these came and went so quickly that I had a strange feeling of deja vu for a reasonable fraction of the film. I did replay some key scenes and laughed a fair bit at some of the sillier aspects. Oh, and if you happen to be North Korean, don’t watch this film. They are a little insensitive towards you. I suppose the same is true if you happen to be a hyper-sensitive Moon Nazi leader (as played by everyone’s favourite vampire/old German stalwart Udo Kier). There are some pretty harsh political statements about the way that the world currently works – I suspect that the most conservative might find some parts of this offensive. I did like the gentle self-deprecating dig at the Finnish, towards the end. It was a very nice touch. The lead actors have a lot of fun. Julia Dietze and Götz Otto devour their roles as Moon Nazis, Christopher Kirby almost manages to avoid snickering for his role as a moon-bound male model who is conveniently African-American and Stephanie Paul almost pulls off a convincing Palin. Peta Sargent has a lot of fun with her role as PR director and… well, I won’t spoil it but she has other roles and some astounding hair. This film was partially fan-funded, after a teaser reel went to Cannes and secured some more traditional film funding. Some of the work inside the movie itself is crowd sourced, especially the animation and modelling, indicating the state of maturity outside of the traditional studio system. The funding and production is a Finnish/German/Australian production, along with the support of the developing participatory cinema community. There’s some talk of a prequel/sequel but I don’t really see the point. This starts and ends well – it’s hard to see what could be added. Scriptwise, this is as B as it comes. Production values, acting and overall enjoyability move this up the scale. I’d happily watch this again. Don’t wait for this to hit the free-to-air. If you haven’t seen it yet, check it out.